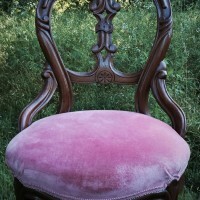 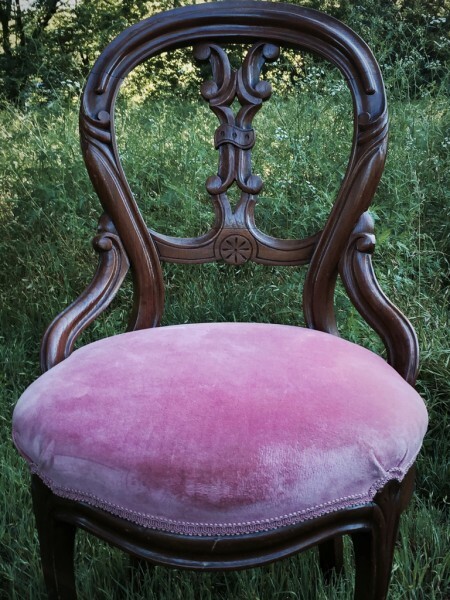 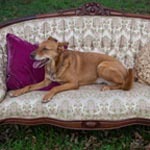 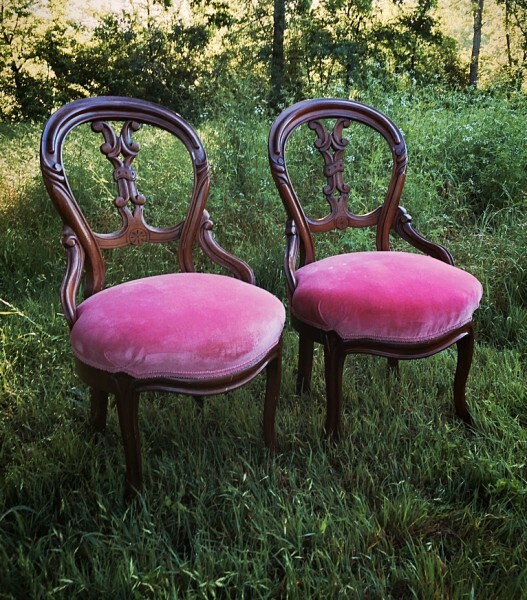 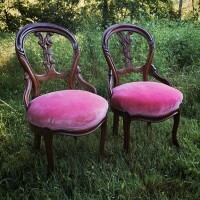 A pretty set of carved rose velvet matching chairs. 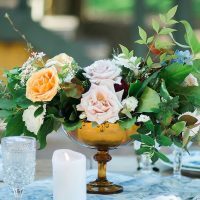 There unique silhouette works perfectly for a wedding bouquet photo or for the Bride and her Maids pics!. 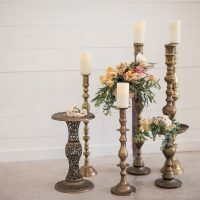 Guaranteed to make a statement and get your guests talking when used for the bride and groom seating at the the head table.